Industrial - GCW HOME INSPECTIONS, LLC. 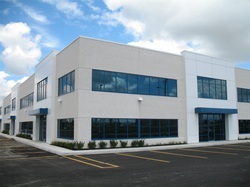 The typical building inspection includes: all Structural systems (roof, foundation, exterior, interior); Property (site facilities, drainage, traffic flow, parking); Electrical system; Plumbing system; Mechanical systems (HVAC); plus special features such as Waterfront Structures, EIFS, or client requirements such as Radon testing, or other engineering inspection or testing needs. Inspections are customized for the facility and to meet the client’s requirements. At the initial site visit an inspection of key factors is made of the entire facility and its systems. Selected available drawing information is compared with actual conditions. A photographic overview is created with detailed photos of possible problems. A collection of selected measurements is made. A review of the initial site study identifies significant and major problems that may exist. Completeness of data is determined and preliminary findings and conclusions are developed.